It will be musical chairs when Rye Town Council goes to the polls next Thursday with 17 councillors standing for 16 seats. Notable councillors not seeking re-election include Granville Bantick, who has served for nearly 20 years, and Mary Smith who has been an active voice in calling Rother District Council to account. Also standing down is Mike Eave, who was instrumental in getting the Kino cinema for Rye. New candidates to throw their hat in the ring include former Rye councillor John Izod and Pat Hughes, who runs Rye Community Transport. The 17 candidates are: Ella Bishop; Michael Boyd; John Breeds (Independent); Jonathan Breeds; Cheryl Creaser (Labour); Bernardine Fiddimore (Independent); Rebekah Gilbert; Charles Harkness (Labour); Pat Hughes (Independent); John Izod; Jo Kirkham (Independent); Ian Potter; Ray Prewer (Labour); Andi Rivett; Shaun Rogers (Independent); Sam Souster (Labour) and Andrew Stewart (Independent). Voting takes place alongside the General and Rother Council elections on Thursday May 9 from 7am - 10pm. 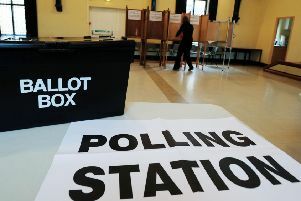 Rye polling stations are situated at Tilling Green Community Centre, Mason Road and Rye Community Centre, at Conduit Hill. One of the first meetings held by the newly formed Rye Town Council will be to establish committees and committee chairs and vice chairs. Because of the election Rye’s traditional mayor Making ceremony and scrambling for hot pennies, will not take place on Bank Holiday Monday, as usual, but on Monday May 18 at Rye Town Hall at 6.30pm.